Set in a scenic spot on the edge of Prassano gorge and overlooking the Cretan sea, Belvedere Villas are the perfect getaway for restful holidays. Having the gorge which is an important habitant of vultures and eagles in Crete just in front, the delightful villas offers unobstructed views of the surrounding landscape in total tranquility. Staying in our villas provides not only an advantage of relaxing in a quiet private area surrounded by the wild nature but also be close to everything including Rethymno city and its beach. 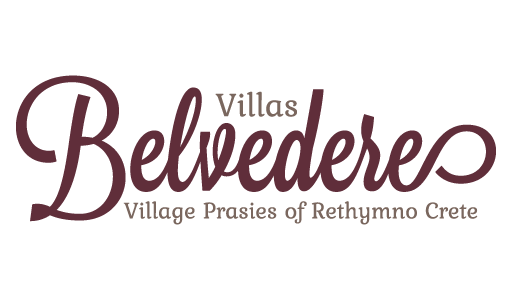 Belvedere Villas are located in a quiet area just outside of Prasies village in front of Prassano gorge, around 9 km away from the city of Rethymno. The surrounding area is a quiet, natural environment ideal for relaxation but also close to shops, restaurants and various services. The closest beach to Belvedere Villas is the long sandy beach of Rethymno which is around 7 km away. The 12 km long sandy main beach of Rethymno, which is the widest and longest beach in Crete, is organized with colourful umbrellas, sun beds, water sports facilities, etc. Furthermore, along the street on the upper side of the beach, which is ideal for afternoon walks by the sea, you will find lots of shops, tavernas and cafes.